After posting a comment on a previous post ’30 designers that shaped the world’, I was asked to write an article on Women Designers. In the article that I read, I found it extremely disheartening that there were only two women in the article, out of 30! So, here I am writing about extremely influential women designers that have shaped the world of design. Being a woman myself, I am obviously passionate about this subject. I am a third year graphic design student currently approaching the end of my studies. I have just written a dissertation on ‘Inspirational Women in design’ discussing why women are not as well known as male designers, in what it still usually considered a male dominated field. I learnt a lot as a student and I hope that it has changed my outlook as a designer as well. The dissertation is of course, subject to my own opinion. It would be great to hear your opinions and what you think about women designers. Firstly, I’d like to start with a few designers that I wrote about in my dissertation. Throughout Ellen Luton’s career, she has achieved a considerable amount, despite her gender. In her opinion she suggests that women today are among the most influential designers of American books, having forged key paradigms in the exterior packaging and internal architecture of jacket and page. She goes on to say that women across the twentieth century, have found opportunities to work in the publishing world, as editors and authors as well as designers. Luton (2004) is a classic example of a woman who has found her way in the design industry, but more importantly still asks the question as to why women are not as well recognised in design as men. Luton contributed to a collection of work to address this issue such as ‘Underground Matriarchy’ where she and Makela discuss why the role of women in design is overlooked. Yet, there are many other successful women in graphic design such as April Greiman, Elaine Lustig Cohen, Paula Scher and Sheila Levrant de Bretteville. These women where trailblazers in design. 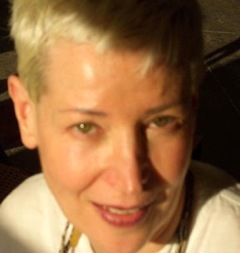 Greiman (2009) is a pioneering woman who helped introduce the computer vernacular to design through experimental mergers of type and image. Greiman is recognised as one of the first designers to embrace computer technology as a design tool. Greiman is also credited, along with early collaborator Odgers, with establishing the ‘New Wave’ design style in the US during the late 70’s and early 80’s. The ‘New Wave’ refers to an approach to typography that actively defies strict grid-based arrangement conventions. This approach has been embraced in graphic design, and is still used today with designers such as David Carson and Jamie Reid. Carson (2009) is an American graphic designer. He is best known for his innovative magazine design, and use of experimental typography. Greiman. Greiman is not as well known as Carson despite Greiman laying the path of which Carson went on to develop his own design ideas when realising the potential of Greiman, and as result founded his career based on Greiman’s ‘New Wave’ design style. This is an example of a woman who has planted the seed, and a man came along and cultivated the seedling, watching it blossom into something outstanding and gaining recognition for it. 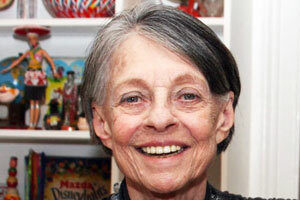 One woman who is an example of a successful and influential designer is Scher. Pentagram is the world’s largest independent design consultancy. 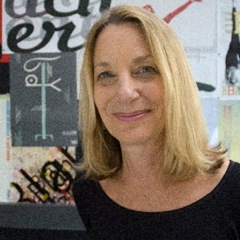 The firm is owned and run by 16 partners, a group of friends who are all leaders in their individual creative fields, one of which is Paula Scher who was the first female principal at Pentagram. Scher (2002), who was part of the New York Design Community since the 1970’s worked amongst a core group of powerful men who ruled the design community. Nevertheless, despite being around powerful male designers, this did not stop her or intimidate her and still, her professional career went on to be a success. Scher is an example of a successful, influential woman who has never allowed limitations get in her way. As a consequence of her unparalleled approach to design in 1998, Scher was named in the Art Directors Club Hall of Fame, and in 2000 she received the prestigious Chrysler Award for Innovation in Design. She has also served on the national board of AIGA and was president of its New York chapter from 1998 to 2000. In 2001, she received the profession’s highest honor, the AIGA Medal, in recognition of her distinguished achievements and contributions to the field. She is a member of the Alliance Graphique Internationale. Her work is represented in the permanent collections of the Museum of Modern Art and the Cooper-Hewitt National Design Museum, New York; the Library of Congress, Washington, D.C.; the Museum für Gestaltung Zürich; the Denver Art Museum; as well as the Bibliothèque Nationale de France and the Centre Georges Pompidou, Paris. Another ground breaking female graphic designer, artist and archivist is Elaine Lustig Cohen. She is recognised for her expansive volume of design work amalgamating European avant-garde and modernist influences into an American, mid-century style of typographic communication. From the 1970s until around 1998, Cohen maintained a gallery called Ex Libris on the upper East Side, which she founded with her second husband, the publisher and author Arthur Cohen. The gallery was well ahead of its time in the handling of avant-garde books, posters, collages, paintings and decorative arts. Cohen assumed ownership of her husband’s midtown Manhattan design practice after he died at the age of 40. However, most of his clients, among them the architect Johnson, expected Cohen to complete her husband’s unfinished commissions. Once Cohen had taken over her husband’s design practice, she remarked “My gender may have been an issue for other designers, but not for my clients.” Cohen began in her husband’s shadow, yet emerged among her male peers as a perfect example of contemporary graphic design as well as typography. Through Ex Libris, she became a commodity of design history and a knowledgeable and generous resource for scholars and students of design all around the world. She is currently a living link between design’s modernist past and its constantly changing present. Sheila Levrant de Bretteville is a graphic designer, artist and educator whose work reflects her belief in the importance of feminist principles, user participation in graphic design, and diverse local community issues. Since 1990 she has been the director of the Yale University Graduate Program in Graphic Design, one of the oldest and most important design programs in the country. Levrant de Bretteville holds a pivotal role in the history of feminist art. Co-founded the first independent feminist art school in the United States, the Feminist Studio Workshop in Los Angeles in 1973 (with Judy Chicago and Arlene Raven), and there created the Women’s Graphic Center. 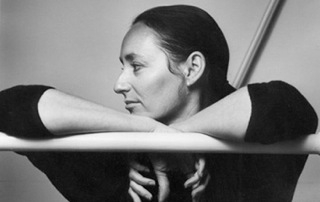 In 1980, Levrant de Bretteville established the Department of Communication Design at the Otis Art Institute and in 1990 became the first woman to receive tenure at the Yale University School of Art. Throughout her career Levrant de Bretteville has continually focused on the social implications of design and worked to establish the means by which women artists could collaborate to address and publicise feminist concerns as part of the design process. However, even though Levrant de Bretteville has achieved a lot for women, she does not believe that she has acted as a result of a personal feminist views and opinions, she defended her position quoting, “When I think of my myself and my work I do not frame it by my feminism. That reframing is a result of the current reengagement with 1970s feminism. My work is influenced by my earliest memories of my father, his sense of community and commitment to his fellow worker.” Levrant de Bretteville achieved a lot in 1990, by becoming a director of the Yale University Graduate Program in Graphic Design. Fellow female designer, Ellen Lupton (2012) of National Design Triennial catalogue rightfully states that, on both coasts of the United States, Levrant de Bretteville used typography and environmental design to enhance communities and that her aesthetically rich, metaphoric projects are indeed meaningful to a diverse range of local populations. These are just a few examples of successful and creative women that have shaped the design industry, who have achieved so much in their creative careers in industry. As mentioned previously, some of these women have influenced some of the most well known male graphic designers in the industry today. Do women design differently from men and are their differences in how they apply their work? With the heavy demands of contract deadlines which may cause conflict with domestic responsibilities, women still seem to appear to be able to accomplish this. Women designers Ramsey and McCorduck (2006) question this by asking, do women design differently from men and are their differences in how they apply their work? It goes on to say that if there are gender differences, then serious studies of the differences between how men and women design are possibly still in their infancy. Ramsey and McCorduck go on to argue that their present knowledge is mostly impressionistic and that women as a class sometimes appear different, and they believe that women certainly come to the design process with different life experiences, and therefore may contribute to different ways of solving design problems. So, is this innate or learned? According to Ramsey and McCorduck, psychological research suggests innate and that men excel at design owing to their superior mental abilities to manipulate space, for example. Nevertheless, if men are naturally more gifted at the design process, and therefore rightfully dominate the field, 85 per cent – 15 per cent, with women clustered in the fashion and jewelry ghettos, then why is there so much bad design? Quoting one experienced designer, she said her experience was that the difficulty comes in getting credit, “There goes another man to the top, put there by the women behind him.” Ramsey and McCorduck argued that they heard this often. ‘Behind Every Successful Man is a Woman’, meaning that many men owe their achievements in life to women. This is a very common quote about how the success of a man in his career or other is also down to a woman behind him, such as his wife. One example is Elaine Lustig Cohen who was married to Alvin Lustig, who suffered from diabetes and slowly lost his sight. As a consequence, he depended on, and trusted Cohen to execute his ideas. Cohen was his eyes and maintained his career and success. There have been many explanations as to why women have not received more recognition for their work. One explanation in particular is that it is common for some men to feel threatened by women who are more successful than they are. Middle Eastern men especially prefer to be in control and some of them may feel that a woman’s success would undermine their authority. Although women designers are being interviewed with regards to women in design, it would appear that the interviewers are actually focusing on the women and their life rather than their practice. 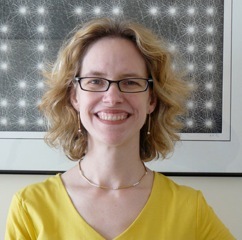 In fact, in some cases, the interviewers asked more questions about the personal lives of their own women designer’s, such as, interviewees (eva Zeisel, Lella Vignelli, Gere Kavanaugh, and Judith Leiber) rather than having discussions about their training and their career paths, works, or design philosophies. Some of the questions asked were about their life experiences, such as, do you think your experience of household work has helped you as a designer of products for the home? as well as, did you take time off to get things set up for your family? and do you try to keep work away from home? Perhaps, interviewers are not asking the right questions to explore and enable the women to talk about and discuss their work and profession. It would probably be highly unlikely for an interviewer to ask a male designer how he balances his home and work life. The editor of Step Inside Magazine, Emily Potts (2005) described how several months ago she was putting together a list of designers as possible judges for the Design 100. When she reviewed her list she was shocked to see that she did not have any women on the list. Potts stated that, the male designers names came so easily to her and that it struck her that this appears to happen every year when she is assembling the list. Potts wondered why that was. Afterwards, when she gave it more thought, she decided that it was time to celebrate the women of design by devoting an entire issue of ‘STEP’ to them. When she ran this idea past the STEP editorial advisors, she received overwhelming support, surprisingly from the men. Potts then went on to say that through this process, she became acquainted with the women who are and continue to change and influence the profession. Some are the usual suspects, like Paula Scher, Emily Oberman, and Bonnie Siegler, while others have flown slightly under the radar. Potts stated that she had a chance to interview all three of these women along with 14 others about the fame game, the challenges that they each faced in the early days of their careers, and the differences between them and their male counterparts. The answers to her questions were varied and unpredictable, and she was impressed with the openness from all the women. Interviewee, Heiden highlighted that when it came the time for her to attend her college, her parents were not convinced that design was an actual vocation or career (especially for a woman). It seems as though it may have even been difficult for women to enter the world of design simply because of family opinions and their expectations of women as well as the possible lack of knowledge of the design industry. The discovery of some of the women researched and the work they have achieved is both surprising and refreshing. It was refreshing to see that some women have influenced some of the most influential male designers to this present day. I hope that this article has opened the eyes of the readers and more so for women to confirm what they can realistically achieve and how the women researched persevered and did not let obstacles get in their way. It is pleasing to know that there are influential women to look up to in the design world. I hope that this study will reach a lot of readers and hopefully for them, be pleasantly surprised about women designers and how much they have influenced design as a whole. Perhaps one day in the future, maybe there will be women’s names mentioned in a Graphic Design lecture in the same way that men’s are today. Maybe, when we are at the point where designers, design students and perhaps the public can name more women designers without thinking too hard, that women would have really succeeded in stepping out from behind the society constructed wall that appeared to oppress women. Perhaps then there will only be positive social change today and in the future. Although this is only a snippet (of something which I can talk about for a long time!) it gives us an idea of women designers and some of the difficulties that they still have or need to overcome. I find these women designers extremely inspiring. Gomez-Palacio, B and Vit, A. (2008) Women of Design. Ohio: How Books. Scher, P. (2002) Creativity, Trade Publication, Vol. 10 (9):62. Makela, H, L. and Lupton, E, (1994) Underground Matriarchy. Eye Magazine, Vol. 4 :42-47. Gornman, R, C. (2001) Reshaping and Rethinking: Recent Feminist Scholarship on Design and Designers. Massachusetts Institute of Technology, Vol 14(4): 72-88.